Roll on Roll Off (RO RO) vehicle shipping really just involves us picking up your car from your home and delivering it to your port of choice but there are a few things to be aware of. 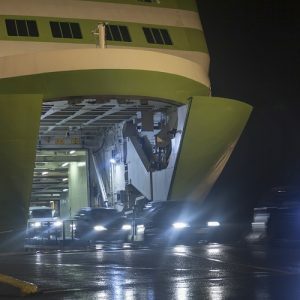 Firstly the vehicle needs to be collected by one of our authorised car carriers from the port city, So it is not possible for you to drop the vehicle off at the port. Secondly, because the vehicle needs to be driven on and off the carrier, the vehicle must be driveable. If the vehicle is not drivable you can add a “non drivable surcharge” to the quotation. You must clean the vehicle well inside and out for quarantine purposes. Vessels for RO RO vehicles don’t leave as frequently as container vehicles so you may have to wait a few weeks for a collection. Once the vehicle is collected it goes directly to the port and then travels to your destination. You should be at the destination when the vehicle arrives. You can often clear the vehicle yourself without too much trouble, particularly if you are sending it to New Zealand, but be mindful of import restrictions on motor vehicle and the taxation regulations.